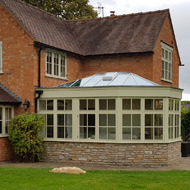 We provide a wide array of joinery solutions and services that can help property owners and building contractors in the Worcestershire area. Very few materials are generally as beautiful as all-natural wood/timber created to perfection, and this is certainly what all of us here strive to accomplish. Our choice of timber includes OAK, ACCOYA and SAPELE. We are the timber, joinery, window and conservatory experts, offering a wide variety of services. For windows and conservatories, Worcestershire, choose the ‘dependable specialists’ in order to create windows or a conservatory completely unique for your house or building project. 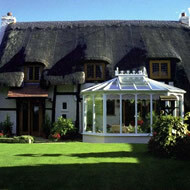 We use more traditional methods to deliver tailor made conservatories and characteristic windows. We are Worcestershire based and we have worked with numerous neighbouring contractors, building companies and private property owners in the Worcestershire & West Midlands regions. Taking your venture from beginning to completion, we are there for style and design right through to assembly. You really can rely on us for your entire window & conservatory needs. If you require something sophisticated yet eco friendly for your home, we can assist. We only use timber acquired from sustained forests including OAK, ACCOYA and SAPELE. Accoya is a relatively new “Super Wood” that’s very eco friendly, so you can have trust in our products knowing they are to be friendly to the environment. Constructing everything in our very own workshops, we make certain that stains and paints are water-based, a further step of taking care of our planet. 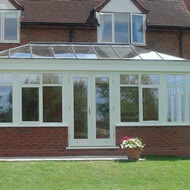 Not only are our conservatories and windows eco friendly, yet they are produced to the maximum possible standard. So you can easily appreciate something luxurious and refined.